Heritage Works leverages architectural heritage to drive community revitalization and economic development in the Dubuque, Iowa area. Your home is typically your most valuable asset. It is also your retreat – your place of refuge. Older homes can provide comfort and coziness in ways that a new home cannot. However, they can also present maintenance challenges and barriers to making them energy efficient. It is important that the owner of an older home be aware that upgrades and alterations can be accomplished in a way that increases comfort, saves money and preserves the historic character of the home. 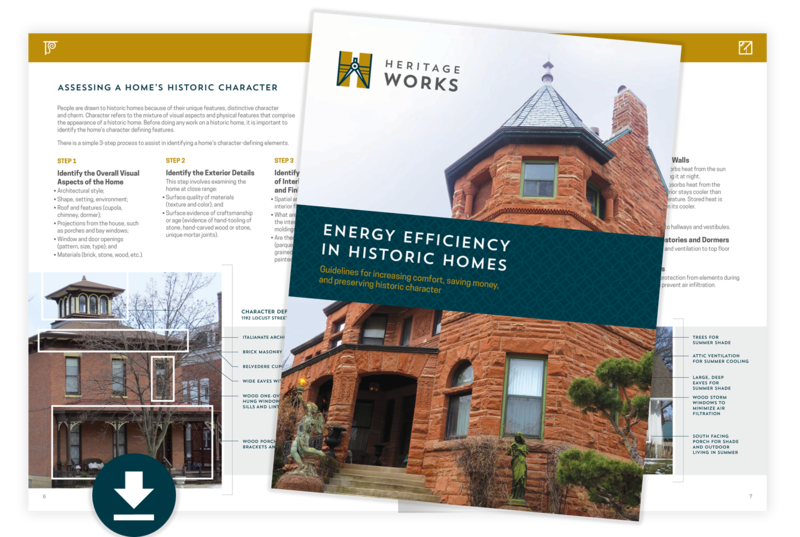 This publication is a resource for owners of older homes when they are considering options for upgrading and enhancing the energy efficiency of their homes. It outlines an easy-to-follow process that can assist the homeowner in both assessing their home and determining which strategies make sense to use in enhancing energy efficiency.